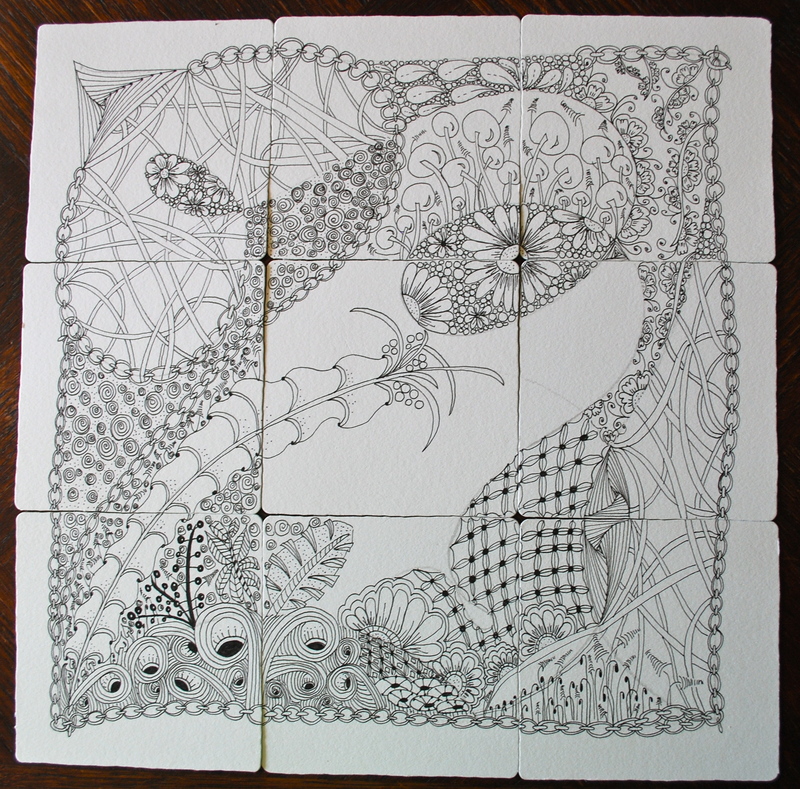 My nine tile “curvy” Zentangle set …. think I’ll keep the rest of the space open. Now I just need to get brave enough to start shading! This tile. Is awesome, I lve the way you draw and the colors they are so natural, and I like when Camelia is done without a grid, looks much more organic in this way, I think you sure suceeded with your tile!